Single and Multi Company versions. No limits on the number of Employees, Cost Centres, Departments etc. 100 Pay Elements. Embed formulas, memo info etc. Gross to Net history (Tax Deduction Card). Individual re-calculations within pay period. “Rollback” to a previous payroll period. 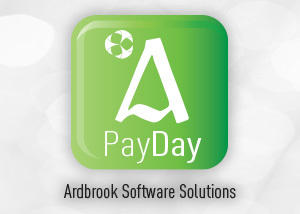 Automatic handling of Holiday Pay with definable Holiday Types. Detail maintained on a Tax, Financial, Pension and Pay Element year. Import of both Permanent and This Period changes. Can be reversed. Flexible Net to Gross calculations on individual Pay Elements. 3 Payment Methods. Pay can be distributed into a max of 5 bank accounts. Links to Time Systems, GLs, etc. (PayDay Plus). 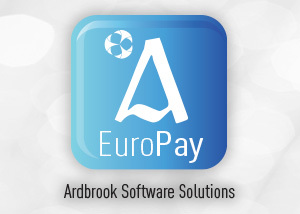 Click HERE to download factsheet or contact us at sales@ardbrook.ie or 01-8382921.